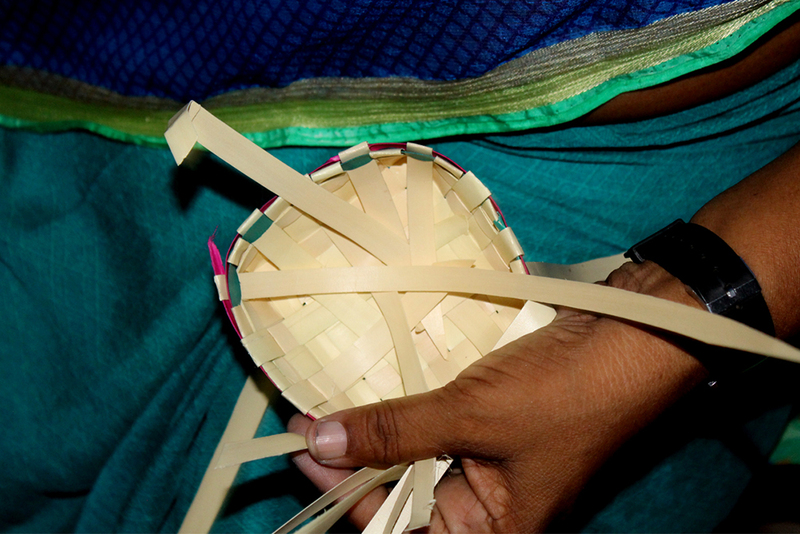 The palm leaves are collected from the palm trees. 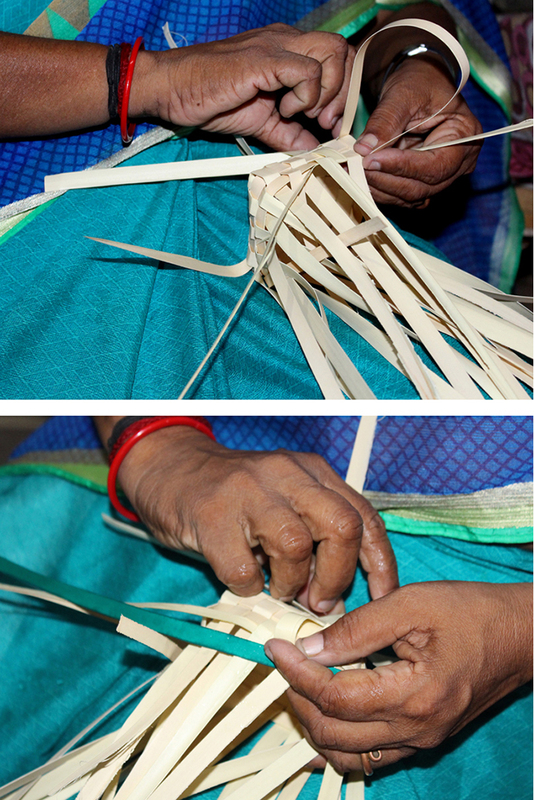 The midrib of the dried leaves is removed splitting the palm leaves into two halves separating the stick. 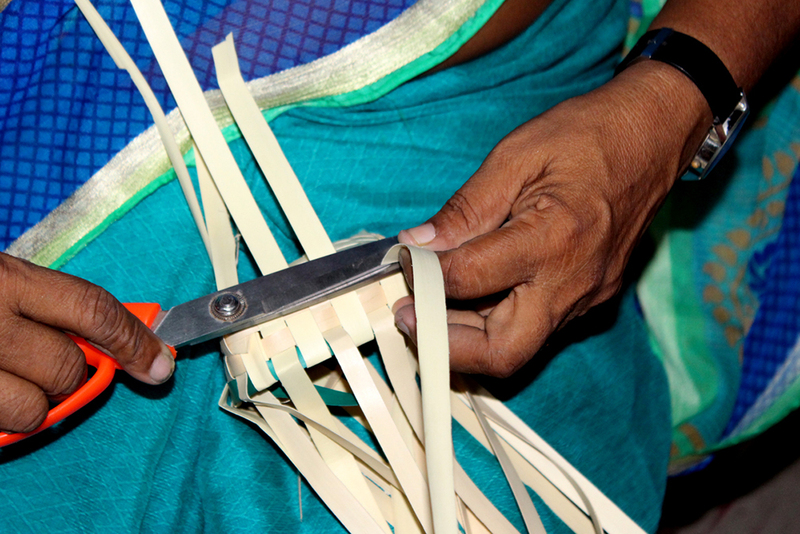 Then using palm leaf slicing machine the palm leaf is sliced into the desired thickness. 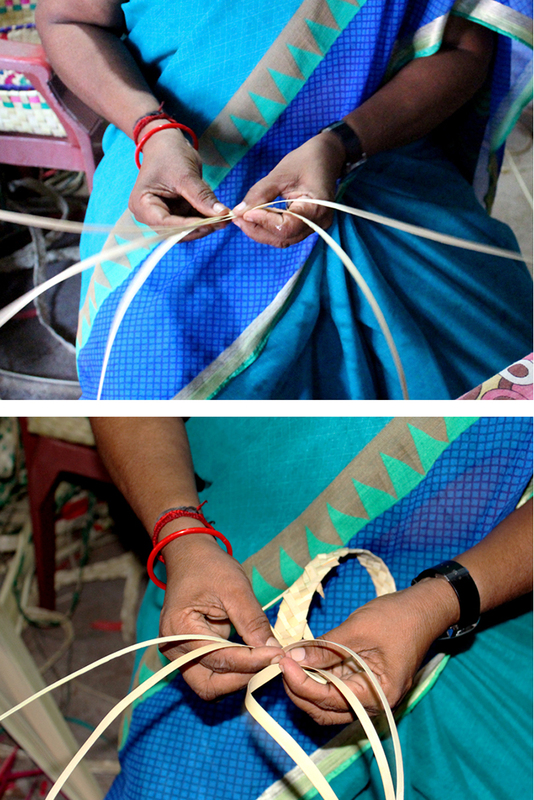 For the decoration of the product the stripes are dyed with different colours. 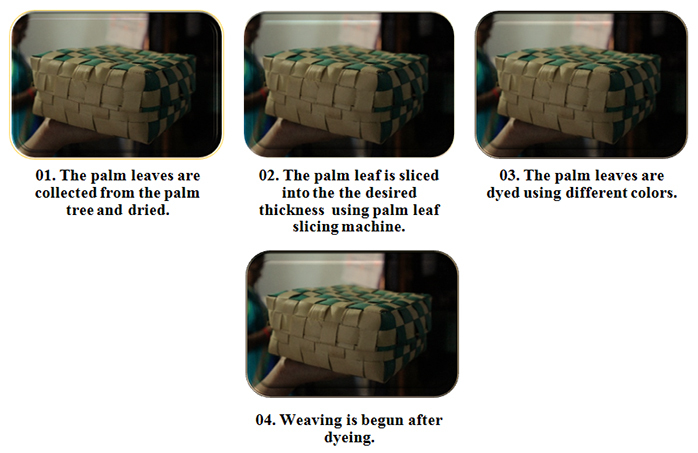 Dyeing of the palm leaf is carried out. 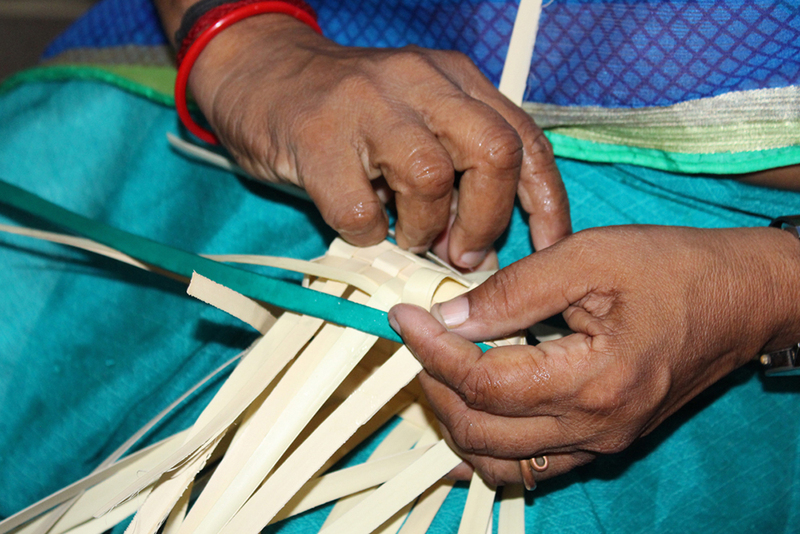 First the stripes are taken and dipped in water to make them moist and supple. Then in another vessel water is boiled for 10 minutes. The natural dye is added and it is kept so for another 10-15 minutes. 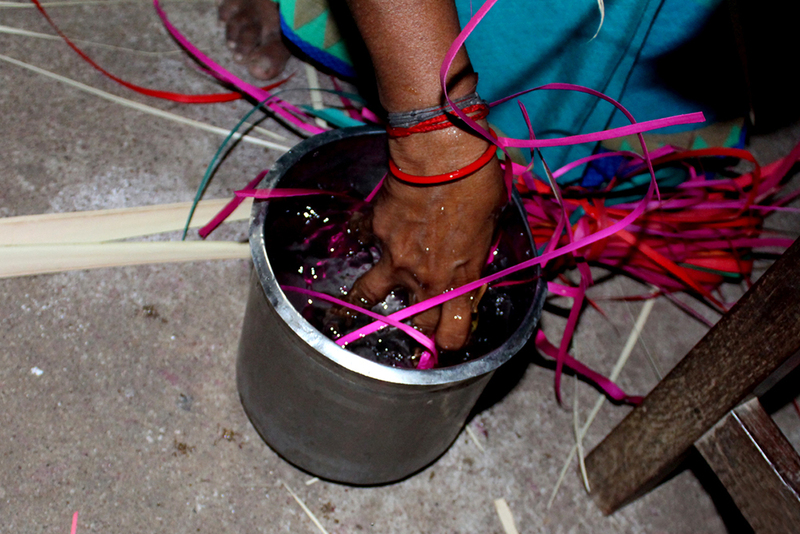 Now the moist palm stripes are put into this vessel for 5-6 minutes, being periodically swirled with a stick. Next, the coloured stripes are taken out and dipped in cool water for 5 minutes, to help set the colour. After dyeing the palm leaves are dried. 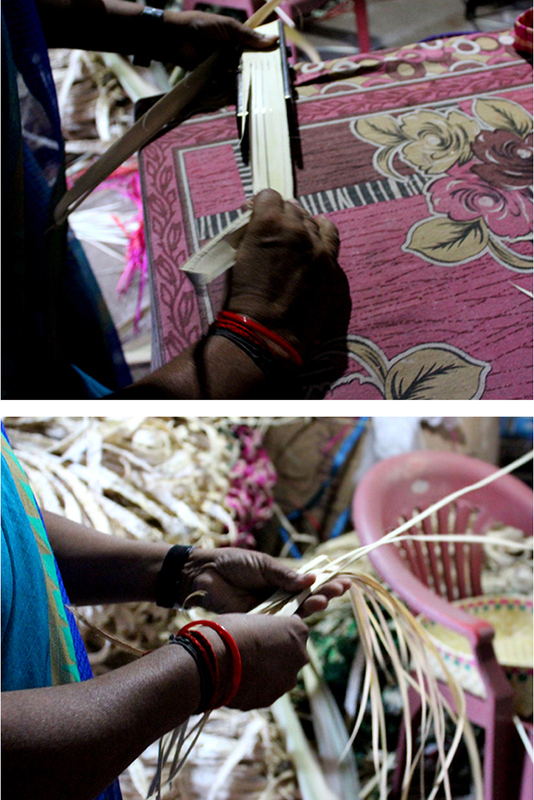 After drying the weaving process is carried out. 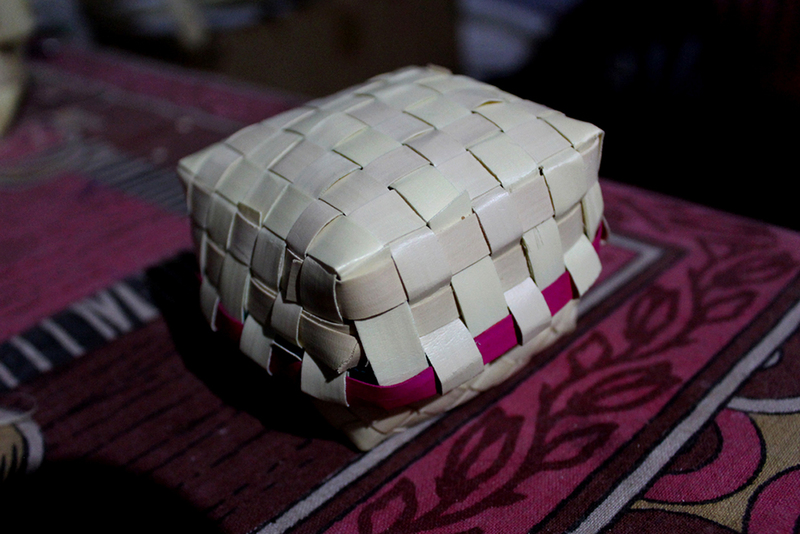 In weaving process the first step is to prepare base for the particular product. Alternate stripes are picked up. A horizontal stripes is inserted. This prevents the vertical ones from getting displaced, locking them in place. Once locked, the process is repeated. Alternate vertical stripes are lifted and a horizontal strip inserted to lock them. This process continues until the required dimensions of the base are attained. 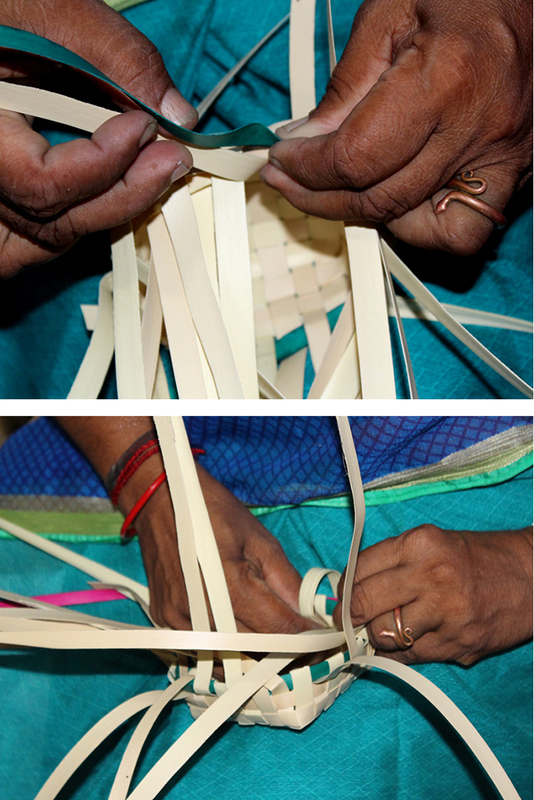 The length of the stripes needed to complete the basket must be considered before starting. Once the desired size of base is reached, the square is locked at the corners. 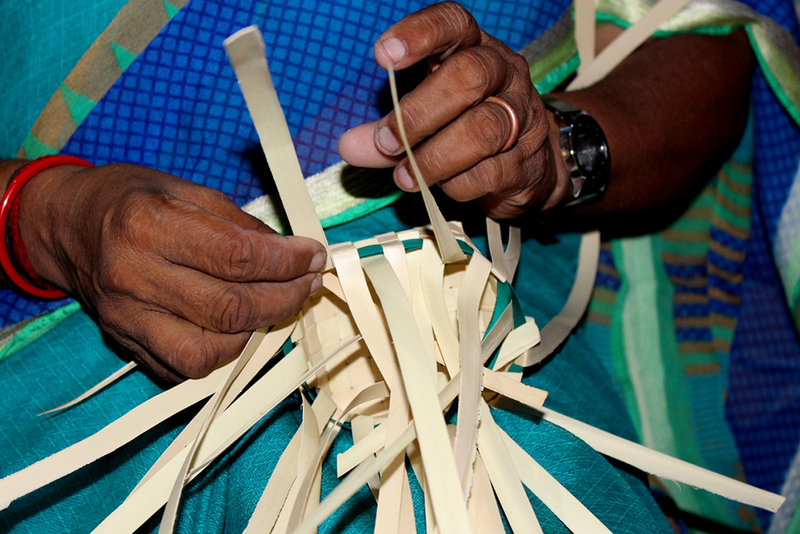 A similar weaving process is used to build the sides. Instead of single horizontal stripes, double horizontal stripes are added to lock the vertical stripes.